Owning your own home has several benefits, offers tax incentives and generally improves your overall net worth. If becoming a homeowner is on your to-do list, save your tax refund and get started today on your path to homeownership. Whether you’re in the market for a fixer-upper, a historic house or a vacant lot to build on, the City of Milwaukee can help you reach your goals. There's also a special $1 lot offer to build your new home in one of three subdivisions, plus receive a $10,000 forgivable loan incentive. Attending a Homebuyer Orientation Session can help you better understand the $20,000 forgivable rehab loan available when buying a City-owned home. Existing homeowners can take advantage of the STRONG Homes Loan, which offers a partially forgivable loan of up to $20,000 to help with essential home repairs. Continue reading more below about properties for sale, neighborhood events and updates, helpful resources and homeownership opportunities. Be sure to visit our website on Thursday, April 20 to view a new listing of properties posted to the Current Listing! 6 BR / 2 BA • 3,418 sq. ft. This attractive brick duplex in the Sherman Park neighborhood is listed on the National Register of Historic Places and may qualify for Wisconsin Historic Homeowner’s Tax Credits. The program returns 25% of the cost of approved rehabilitation as a Wisconsin income tax credit. Owner-occupants only. May also be eligible for Rental Rehabilitation Loan Progam funds (up to $14,999 per unit) or $20,000 forgivable loan. 4 BR / 1 BA • 2,403 sq. ft. 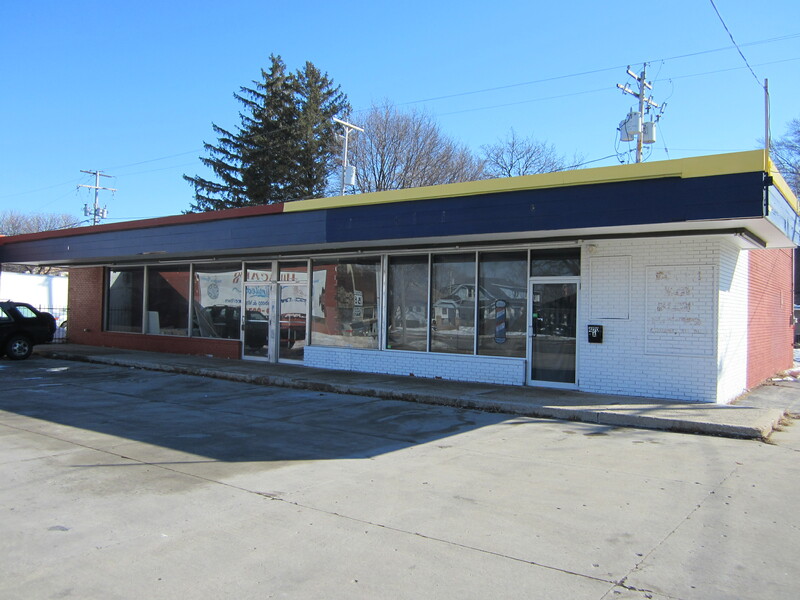 This diamond in the rough is located in the Midtown neighborhood and sits on a large 9,240 sq. ft. corner lot with a detached garage at the alley. Built in 1897, this partial brick home holds many original interior features such as a fireplace, built-in cabinets with leaded glass, beautiful wood trim, doors and staircase, plus decorative plaster moldings and half-round windows on third floor. May be eligible for $20,000 forgivable loan. The Department of Public Works’ annual Project Clean & Green program runs from April 17 through June 5, 2017. The citywide program is designed to foster neighborhood pride through coordinated pick-up of excess household debris, street and alley sweeping, nuisance inspections, graffiti removal, and other neighborhood beautification activities sponsored by community agencies. Collection Crews will target one zone each week and collect extra items left at the collection point on the scheduled collection day. Look up your assigned week online. Tuesday, April 25, 6-7:30 p.m.
Urban Ecology Center - Washington Park, 1859 N. 40th St. Please join Mayor Tom Barrett, Alderman Russell Stamper II, Alderman Michael Murphy, and city staff at a public meeting to discuss options for the intersection of Lisbon Avenue and the Stadium Freeway (WIS 175). The goal of this study is to improve connections between neighborhoods, improve safety for both vehicles and pedestrians, maintain traffic flow, and support commercial revitalization along North and Lisbon Avenues. Come see newly-developed 3D images for all options that have received significant public support at previous meetings, and share your thoughts on this important community gateway. Thinking of starting home improvements this year? Join LBWN and Clarke Square to learn about homeownership and home repair resources from a variety of housing organi­zations. Saturday, April 29, 9 a.m. - noon, Meet at the Amcor Building, 6161 N. 64th St. Thinking about purchasing a home? Take this tour to find out how you can get prepared and purchase a home in the area. View 4-5 homes, plus neighborhood highlights. 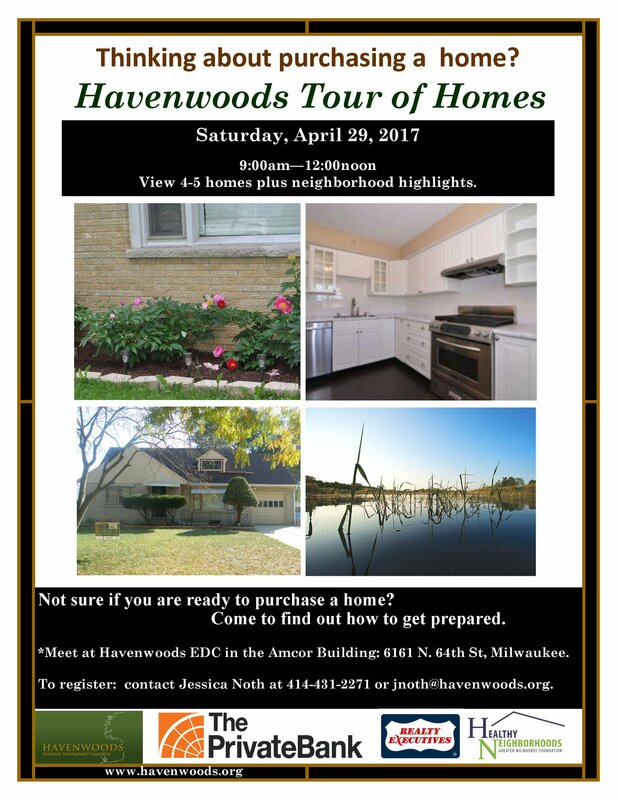 To register contact jnoth@havenwoods.org or call (414) 431-2271. Wednesday, April 19, 6-7:30 p.m.
Wednesday, May 3, 9 a.m. - 3 p.m. Sign-In: 8:30 a.m.
Wednesday and Thursday, May 16-17, 4:30 p.m. - 7 p.m. Sign-In: 4:00 p.m. 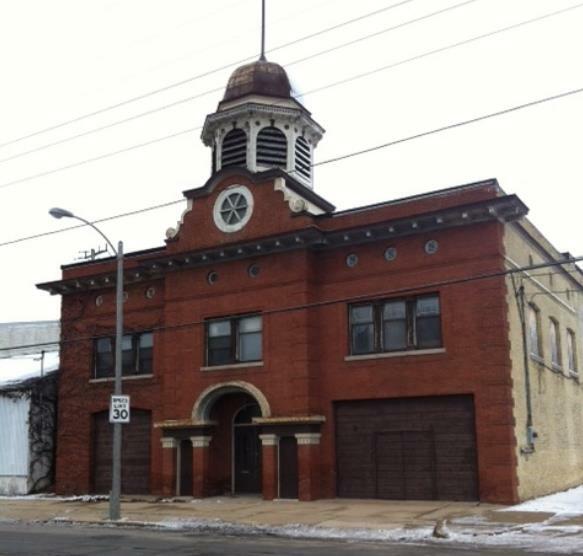 Unique opportunity to rehabilitate the former North Milwaukee Fire Station and Town Hall in the Villard Avenue Business Improvement District. Bring your ideas! This brick two-unit building in the Town of Lake neighborhood has over 3,000 sq. ft. and offers the potential for a cafe, photography/art studio, employment agency, offices, general retail and service, home improvement center, laundromat, etc.